Author Information: Raphael Sassower, University of Colorado, Colorado Springs, rsassowe@uccs.edu. Sassower, Raphael. “Human Nature in the Post-Truth Age.” Social Epistemology Review and Reply Collective 8, no. 1 (2019): 36-38. We have come a long way since Leslie Stevenson published Seven Theories of Human Nature in 1974. Indeed, Stevenson’s critical contribution enlisted the views of Plato, Christianity, Marx, Freud, Sartre, Skinner, and Lorenz to analyze and historically contextualize what the term could mean. By 2017, a seventh edition is available, now titled Thirteen Theories of Human Nature, and it contains chapters on Confucianism, Hinduism, Buddhism, Plato, Aristotle, the Bible (instead of Christianity), Islam, Kant, Marx, Freud, Sartre, Darwinism, and feminism (with the help of David Haberman, Peter Matthews, and Charlotte Witt). One wonders how many more theories or views can be added to this laundry list; perhaps with an ever-increasing list of contributors to the analysis and understanding of human nature, a new approach might be warranted. 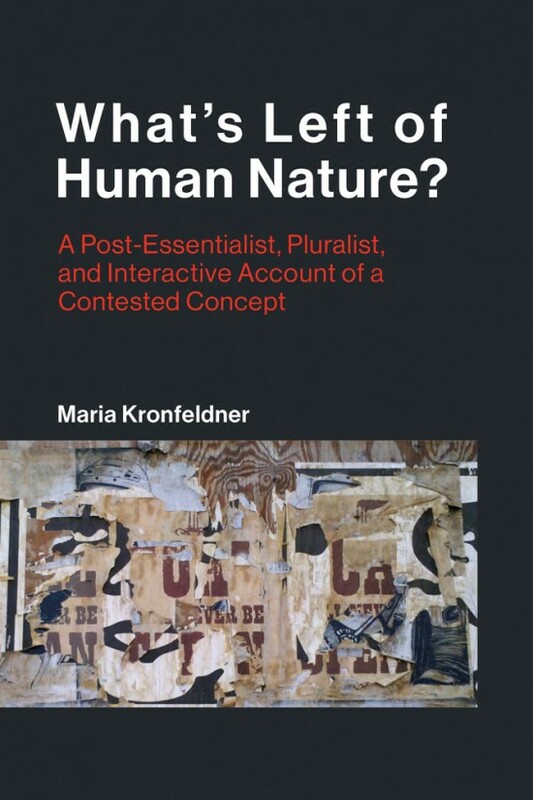 This is where Maria Kronfeldner’s What’s Left of Human Nature? A Post-Essentialist, Pluralist, and Interactive Account of a Contested Concept (2018) enters the scene. This scene, to be sure, is fraught with sexism and misogyny, speciesism and racism, and an unfortunately long history of eugenics around the world. The recent white supremacist eruptions under president Trump’s protection if not outright endorsement are so worrisome that any level-headed (or Kronfeldner’s analytic) guidance is a breath of fresh air, perhaps an essential disinfectant. Instead of following the rhetorical vitriol of right-wing journalists and broadcasters or the lame argumentations of well-meaning but ill-informed sociobiologists, we are driven down a philosophical path that is scholarly, fair-minded, and comprehensive. If one were to ask a naïve or serious question about human nature, this book is the useful, if at time analytically demanding, source for an answer. If one were to encounter the prevailing ignorance of politicians and television or radio pundits, this book is the proper toolkit from which to draw sharp tools with which to dismantle unfounded claims and misguided pronouncements. In short, in Trump’s post-truth age this book is indispensable. But who really cares about human nature? Why should we even bother to dissect the intricacies of this admittedly “contested concept” rather than dispense with it altogether? Years ago, I confronted Robert Rubin (former Goldman Sachs executive and later Treasury Secretary in the Clinton Administration) in a lecture he gave after retirement about financial policies and markets. I asked him directly about his view of human nature and his response was brief: fear and greed. I tried to push him on this “view” and realized, once he refused to engage, that this wasn’t a view but an assumption, a deep presupposition that informed his policy making, that influenced everything he thought was useful and even morally justifiable (for a private investment bank or the country as a whole). All too often we scratch our heads in wonder about a certain policy that makes no sense or that is inconsistent with other policies (or principles) only to realize that a certain pre-commitment (in this sense, a prejudice) accompanies the proposed policy. Would making explicit presuppositions about human nature clarify the policy or at least its rationale? I think it would, and therefore I find Kronfeldner’s book fascinating, well-argued, and hopefully helpful outside insulated academic circles. Not only can it enlighten the boors, but it could also make critical contributions to debates over all things trans (transhumanism, transgenderism). Is the Concept of Essence Useful Anymore? And indeed, this book does overcome the simple binary of either there are fixed traits of humanity to which we must pay scientific tribute or there are fluid feedback loops of influence between nature and nurture to which we must pay social and moral attention. Though the former side of the binary is wedded to notions of “specificity, typicality, fixity, and normalcy” for all the right ethical reasons of protecting human rights and equal treatment, the price paid for such (linguistic and epistemic) attachment may be too high. The price, to which Kronfeldner returns in every chapter of the book, is “dehumanization”—the abuse of the term (and concept) human nature in order to exclude rather than include members of the human species. The upshot of this process of elimination in the name of reducing dehumanization is admittedly as much political as epistemic, social and cultural as moral. 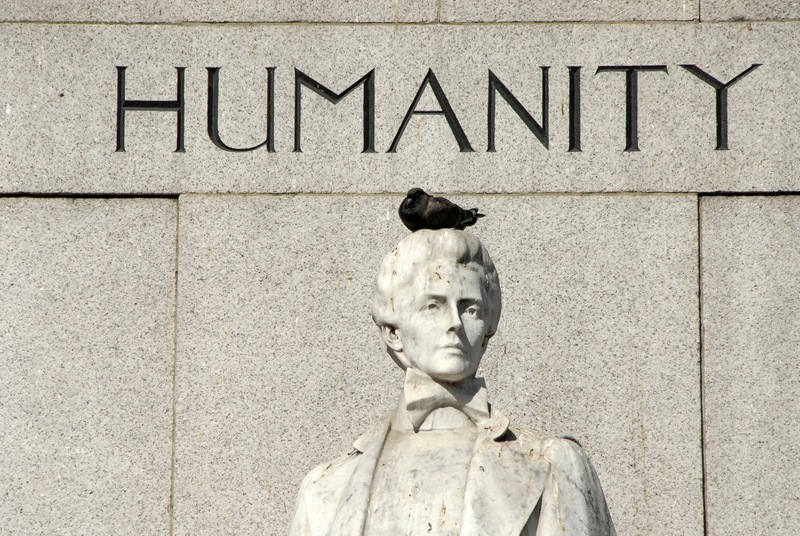 As Kronfeldner says: “Even if one gets rid of all possible essentialist baggage attached to human nature talk, and even if one gets rid of all human nature talk whatsoever, there is no way to make sure that the concept of being or becoming human gets rid of dehumanization. Stripping off essentialism and the language inherited from it won’t suffice for that.” (236) So, what will suffice? At this juncture, Kronfeldner refers to Wittgenstein: “The term human nature might well be a Wittgensteinian ladder: a ladder that we needed to arrive where we are (in our dialectic project) but that we can now throw away.” (240) This means, in short, that “we should stop using the term human nature whenever possible.” (242) Easier said than done? The point that Kronfeldner makes repeatedly is that simply revising the term or using a different one will not suffice; replacing one term with another or redefining the term more carefully will not do. This is not only because of the terminological “baggage” to which she alludes, but perhaps, more importantly, because this concept or term has been a crutch scientists and policy makers cannot do without. Some sense of human nature informs their thinking and their research, their writing and policy recommendations (as my example above illustrates). In a word, is it possible to avoid asking: what are they thinking about when they think of human conduct? What underlying presuppositions do they bring to their respective (subconscious?) ways of thinking? As much as we may want to refrain from talking about human nature as an outdated term or a pernicious concept that has been weaponized all too often in a colonial or racist modality, it seems to never be far away from our mind. In the Trumpist age of white supremacy and the fascist trajectories of European nationalism, can we afford to ignore talk about human nature? Worst, can we ignore the deliberate lack of talk of human nature, seeing, as we do, its dehumanizing effects? With these questions in mind, I highly recommend spending some time with this book, ponderous as it may seem at times, and crystal clear as it is at others. It should be considered for background information by social scientists, philosophers, and politicians. Kronfeldner, Maria. What’s Left of Human Nature? A Post-Essentialist, Pluralist, and Interactive Account of a Contested Concept. Boston: MIT Press, 2018. Editor’s Note: As we near the end of an eventful 2016, the SERRC will publish reflections considering broadly the immediate future of social epistemology as an intellectual and political endeavor. Clarissa Ai Ling Lee, “ArtScientist/ScienceArtist: Finding a Creative-Intellectual Room of One’s Own”. Mark D. West, “The Holidays and What is Given”. I finished a BA(Hon) in Latin America, an MA in French Canada and recently a PhD in English Canada. All in philosophy. The first part of my formation was entirely Continental, the second mostly Analytical and the third (and longest) was in a field “above” the two previous ones: Philosophy of Science. My current research revolves around the future of humanity due to innovative and disruptive research occurring within Converging Technologies—Nanotechnology, Information Technology, Biotechnology and Cognitive Science (NBIC). Since NBIC’s research agenda openly aims at the profound alteration of the human condition, I explore the implications of these technologies for our understanding of what it will mean to be “human” at the cognitive and biological levels, along with its ethical ramifications. I pursued the doctoral degree in order to locate, articulate and clarify the origins of this hopeful yet disruptive view: classical cybernetics. This investigation starts in Philosophy of Science and Cognitive Science and develops into Metaphysics and Philosophy of Technology. I am publishing a book in 2017 on this topic for Palgrave Macmillan. The second aspect of my research agenda focuses on the ethical ramifications of the previous theme. Departing from Ethics of Technology and Science Policy, I want to develop an alternative view to the “precautionary” approach usually found as public policy’s default position towards the possible social repercussions of pervasively disruptive technologies. 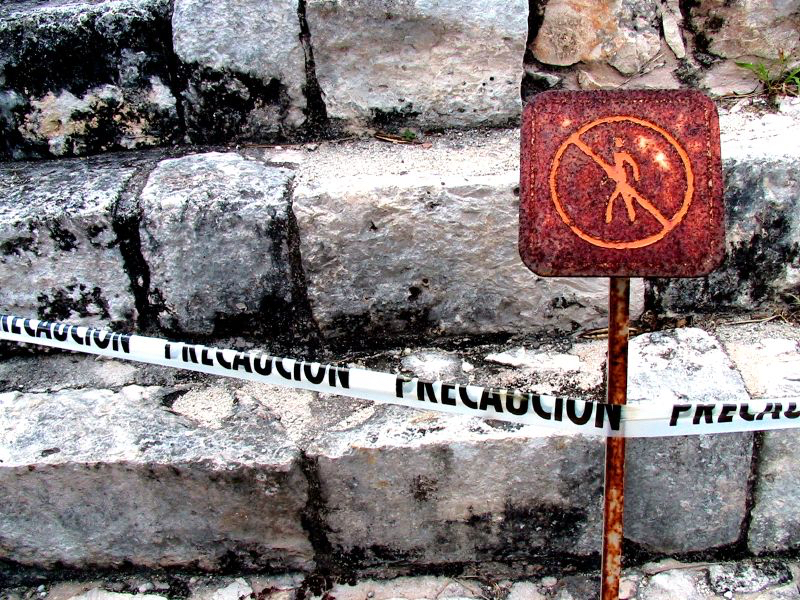 Precautionary stances tend to emphasize the potential dangers of both pioneering scientific and unprecedented technological avenues of research, calling for the slowing down or even halting of investigation until the side effects are better known. In response to this, many researchers do not feel comfortable with the alleged “red tape” that is in contrast absent in other research environments. I anticipate an alternative position deserving further exploration—one that would foster a risk-friendly approach but nevertheless regulated by the state, so as to prevent: a) Already occurring radically libertarian stances prone to be ultimately subsumed by corporations; b) A gradual but steady brain drain towards more “ethics-free” environments. The feasibility of an alternative “proactionary” approach, which is increasingly gaining traction, will be further articulated, evaluated, and if possible, improved. A spinoff of the previous two research paths, already briefly hinted at in my book, will be the exploration of the metaphysical and religious surreptitious commitments behind these canonically secular investigations. Fuller, Steve. 2013. “The Origin and Prospect of a Principled Future: An Interview with Steve Fuller, Ryan Cochrane.” Social Epistemology Review and Reply Collective 2 (6): 12-17, 12 May. Ryan Cochrane (RC): Why does Darwinism pose a much greater threat to the future of humanity than religion? Isn’t this the exact opposite of what people like Richard Dawkins and the late Christopher Hitchens are saying? Steve Fuller (SF): Yes, it is the exact opposite. Dawkins and Hitchens betray a remarkable sociological ignorance. They treat ‘religion’ as if it were some sort of anti- or pre-scientific ideology, when in fact it is simply the generic name for any complex social organization that is held together over large expanses of space and time without depending on the existence of the nation-state. Not surprisingly, ‘religion’ in this properly broad sense has been responsible for enormous good and evil in the course of history. Once this is kept in mind, it should be clear that there is no specifically ‘religious’ gene or bit of the brain to be found (which then one might treat as a pathology in need of cure). Holbrook, J. Britt and Adam Briggle. 2013. “Knowing and acting: The precautionary and proactionary principles in relation to policy making.” Social Epistemology Review and Reply Collective 2 (5): 15-37. This essay explores the relationship between knowledge (in the form of scientific risk assessment) and action (in the form of technological innovation) as they come together in policy, which itself is both a kind of knowing and acting. It first illustrates the dilemma of timely action in the face of uncertain unintended consequences. It then introduces the precautionary and proactionary principles as different alignments of knowledge and action within the policymaking process. The essay next considers a cynical and a hopeful reading of the role of these principles in public policy debates. We argue that the two principles, despite initial appearances, are not all that different when it comes to formulating public policy. We also suggest that principles in general can be used either to guide our actions, or to determine them for us. We argue that allowing principles to predetermine our actions undermines the sense of autonomy necessary for true action.